There aren’t too many things in life that compare to being able to beat the normal laws of gravity and hop around in a manner that would otherwise be impossible in the outside world. This is what makes trampoline parks an excellent place to visit. If you are looking to find the best trampoline park and are willing to go on a road trip, this page will help you find all of the best trampoline parks in the world. If you are in the United States or in Canada, you should be able to find a trampoline park nearby your location. Altitude Trampoline Park is one of the heavy-hitters in the industry, with over 50 different locations worldwide and growing. This place is so popular that it has branched out of the USA into several different international locations. Although most of the locations are concentrated in the USA, there are locations on several continents. Most of these locations offer all of the basic amenities that clients will typically want. This includes foam pits, dodgeball courts, and trampoline basketball. In any case, you will always be able to find the wall-to-wall trampoline pits that measure much larger than any outdoor trampoline. Sky Zone has two different locations in the Northeast United States and one in Southeastern Canada. The nice thing about this park is that they have many different attractions to choose from. This includes a freestyle jump where you jump in a wall-to-wall trampoline in a room where it is impossible to even hit a hard surface to hurt yourself. If you want to do a little more than jumping around on an endless trampoline you can also play trampoline basketball, dodgeball, jousting, or even jump into a large foam pit from high heights. There are even times where you can go in with glow sticks and black lights lit to jump in a rave-like manner. With four top-quality trampoline parks concentrated in the Northeastern United States, this franchise is quickly growing as other locations are being built right now as you read this. Although Flight Trampoline Park is great for younger folks planning an awesome birthday party, it is also a popular workout center offering an alternative means of working out that doesn’t involve treadmills and dumbbells. Its popularity for both kids and adults make it one of the best trampoline parks in the world. Great for kids, teenagers and college students, the Launch Trampoline Park combines all of the most requested things in any best trampoline park on this list and caters more to the crowd who simply wants to have fun. This means that although you may not be able to work out here, you will still be able to enjoy the endless trampoline court, basketball, foam pit, an arcade, and café with free wife and concessions. There are also separate kid’s trampoline courts so that the adults can jump in separate quarters. Urban Air Trampoline Park is another one of the best trampoline parks which have many different locations across the United. Most of these locations are located in the East and Midwest, and there is even one location in the United Kingdom. All of the franchises will have large trampoline rooms which also hosts special space for dodgeball, basketball, jump pits, with each location hosting their own unique features. One in Ardmore, OK, for example, has a warrior obstacle course where you can compete with your friends or try to beat the location’s high score. Stretching across the North American continent, and even over to Finland and Japan, the Get Air Trampoline Park is another one of the best trampoline parks in the world simply because they separate themselves by offering a unique blend of what we already know and love in trampoline parks. For example, one attraction called Knockerball offered by many Get Air locations allows you to put on a giant bubble and bump onto other people and trampolines alike. Each location also offers their own blend, which makes this one of the most consistently best trampoline parks in the world. Based in Wisconsin, Helium Trampoline is another one of the best trampoline parks due to its nice array of attractions and concessions. Whenever you get sick of jumping around in the wall-to-wall trampoline room, you can relax and enjoy a pizza and coke to gain some energy back. With both food and fun, there is no reason that you can’t stay here for an entire day and have some fun. There are also a nice set of attractions to choose from at this trampoline park. For example, you can jump from the jump tower onto the airbag, engage in a padded jousting competition with your friend, play trampoline basketball so that you can finally dunk the ball, play dodgeball, climb a climbing wall, and host parties with your friends and family. Freefall Trampoline Park is one of the only parks on this list with only one location. If you are located in the Pennsylvania areas, you are in for a real treat. With over 33,000 square feet of trampolines positioned from wall-to-wall, an airbag to jump onto, trampoline basketball, an 8 person battle game, and even a mechanical bull this park stands out as both unique and prominent. The Tempest Freerunning Academy is not your average trampoline park. This trampoline park is geared more towards the freerunning crowd that wants a safe place to be able to practice their craft with plenty of soft edges and trampolines to save yourself from mistakes. There are also foam pits for jumping into which will allow you to practice doing flips and other techniques. If you like trampoline parks but want an extra emphasis on the “ninja warrior courses” that are offered by many locations, this is a great choice. Although this is not a traditional trampoline park, it is unique and heavily worth visiting. Stratosphere Trampoline Park is both great for fans of trampoline parks and ninja warrior courses. If you are in the Maryland area, you definitely need to check out this trampoline park. Since it has a nice blend of old and new, it is hands-down one of the best trampoline parks in the world. With a main arena for jumping around, a dodgeball court, an excellent ninja warrior course, an airbag to jump onto, an arcade, mechanical bull, and even snowboards (“Bounce Boards”) which you can use to practice your snowboarding tricks, this place is an innovative take on the classic trampoline park attractions we all love with their own style. Big Air has several locations in California, and can also be found in South Carolina and North Carolina. If you are located within any of these locations, you are in for a great experience. With a combination of trampolines that are placed in every corner of the room, obstacle courses, a climbing wall, a dodgeball court, a foam pit, and several unique attractions to each location, this place is one of the best trampoline park options. If you live in Illinois near the Gurnee area, you might be surprised to know that one of the best trampoline park options in the world right at your fingertips. Offering world-class facilities that are fun for both kids and adults alike, Jump America is one of the best trampoline parks in the world. They offer competitive prices that are impressive given the high prestige of the park. With endless amounts of trampolines, dodgeball courts, and a jumping pit full of foam for jumping into from high altitudes that would otherwise be dangerous to your health, this trampoline park is a great place to spend a day relaxing at. There is also a kids zone at this trampoline park so that the older people can be separated from the younger kids to eliminate the risk of injuries. If you are located in the Western United States, you should be able to find a Fly High trampoline park nearby your home. What stands out about this trampoline park is that it not only offers top-of-the-line facilities but that it is also great for people who only want to spend an hour or so there. Since the facilities are stunning and it offers great deals for short-term stays, this is one of the best trampoline parks for family getaways. With foam pits, dodgeball, trampoline basketball, and the ability to throw a party here, this is a great trampoline park to visit for parties and spontaneous nights out. Formerly known as Airbound Trampoline Park, this trampoline park has turned into a successful chain after years of success and positive customer feedback. With many of the highly-requested facilities (even including a climbing wall), this place is hands-down one of the best trampoline parks in the world. At Rockin’ Jump, you will find trampoline dodgeball, foam jousting, a foam jumping pit, and a basketball court which allows shooters of all ages to dunk the ball like a professional NBA player. There is also free Wi-Fi and a coffee shop for resting and gathering some energy when you are tired and sore from jumping around all day. If you like the trampoline park at day, be sure to come during the After Hours period for extra fun with black lights and glow sticks. Elevation Trampoline Park fits into the best trampoline park category simply due to the diversity of attractions and since it fits the desires of jumpers of all ages. For example, there are typical activities such as sports and open jump rooms with endless trampolines. The sports activities include basketball, dodgeball, and even volleyball. However, one thing that is really nice about this trampoline park is that it also offers the ability for fitness programs as well. 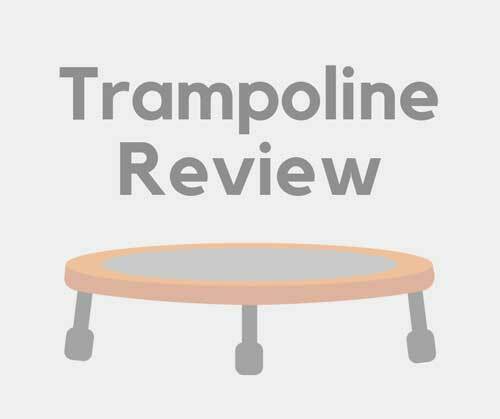 Their Trampoline Bootcamp course is very intense cardiovascular workout that many people prefer to other activities such as running, swimming, or biking. If you want a trampoline park that is best for the entire family, this is a great place to check out. Many people will consider this to be the best trampoline park simply because it is so much more than this. At this park, you can enjoy the usual elements of many of the best trampoline parks in the world, and then take a break and enjoy the many other amenities of this trampoline park. For example, you can bowl 10 frames, go skiing or snowboard down a slope, play cage ball, use a triple bungee trampoline, play trampoline basketball, go down a zip line, climb up a set of climbing walls, or race down a ninja course. With a wide array of things to do, this is not only one of the best trampoline parks in the world, but also one of the best places to take your friends and family. With two different locations offering their own version of the best trampoline park, these are both one of the best trampoline parks in the world to choose from. Located in Minnesota, there are over 10000 square feet and three sports courts at the St. Cloud trampoline park, providing space that most trampoline parks simply don’t have. The Eden Prairie location not only has a nice selection of jumping space and sporting space, but also the ability to play mini golf, mini bowling, laser tag, and even an arcade. Since both of these parks offer a unique set of features, they are both heavily worth checking out. The better trampoline park is probably the St. Cloud location, but both are impressive. Jumpstreet is one of the biggest trampoline park chains in the world and has locations all across the United States. Since each Jumpstreet location will come with all of the amenities in a high-quality trampoline park such as a foam pit, trampoline area, dodgeball court, and separate areas for smaller children, each location is a great choice to visit for a day of fun. No matter what your age is, Jumpstreet trampoline parks are a great place to visit. You can bring your significant other here for a date, your family for a day off, or all of your friends for a birthday party. Since they have special birthday parties, many locations have won awards for hosting excellent birthday parties. Velocity Airsports has everything that most other trampoline parks offer, and more. With a dodgeball stadium, trampoline basketball, large trampoline pit, arcade, ninja obstacle course, an inflatable playground, this is one of the best trampoline parks in the world simply due to its nice array of activities. The Sky High Trampoline Park is located at various locations in the states listed above and offers all of the amenities that are necessary to be one of the best trampoline parks. This includes areas with trampolines located on both the ground and walls, a dodgeball court, and a super-size foam pit. Younger and extraordinary jumpers can take advantage of the special needs jump time and the kid’s court offered by these locations, offering fun for everyone. Each location also offers an arcade and café so that you can balance your time exercising with some time for relaxing. Offering several different birthday packages, this is also an amazing place to take your child and their friends to celebrate their birthday. After all, when the kids run of out energy on the trampoline they can head over to the arcade and relax their muscles. If you are looking for the best trampoline parks in the world, you will be lucky to hear that they are all based out of the Western hemisphere. With most locations conveniently located in the United States, and one in Canada, taking your family out for a day of fun or to celebrate a birthday has never been out of your reach. Before you go to an average trampoline park, make sure that they have the basic necessities in a high-quality trampoline park, such as wall-to-wall trampolines, dodgeball courts, a foam pit, and trampoline basketball.